These trousers are composed from a consummate, polyester, high grade fiber that was synthesized for durability, safety and comfort, as well. These trousers are for the highly active individual. Whether you are engaging in high intensity leisure activities, or your job requires a heavy degree of physical labor or exposure, this is a very practical wardrobe staple. 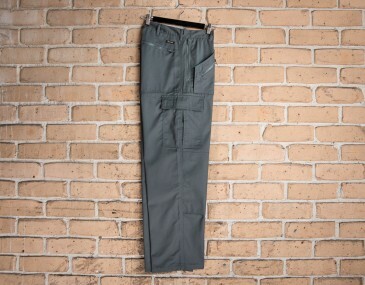 Purchase these trousers complete with customization. The listed price includes a 1colour print of your logo that is screen printed. A screen print set up of $75 applies. Embroidery is also available too at not extra cost. For decoration we recommend having your branding around the hip area for maximum visibility and style. These trousers are made with the aid of a polyester cotton drill, which accounts for some of the highest quality European workwear brands. This fiber underwent a strict pre shrunk process before being sold in order to minimizes shrinkages after washes or moisture exposure. 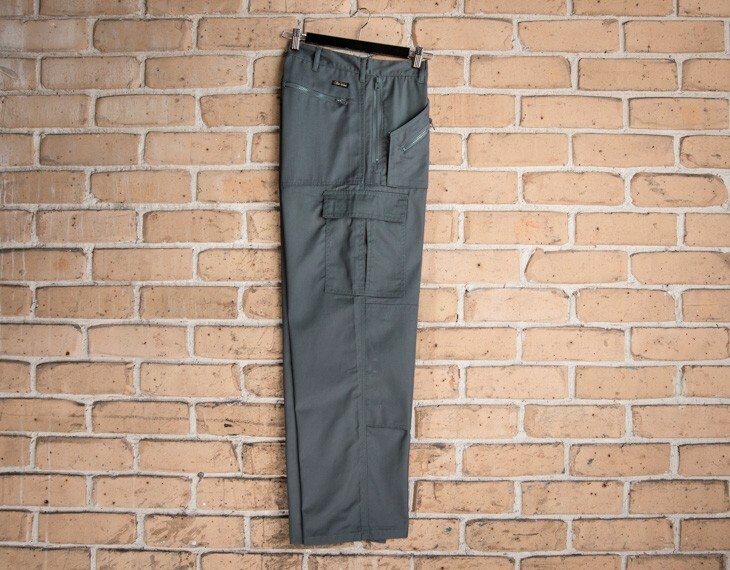 Along with these features, these trousers happen to have knee pad pockets as well, which provide it with a smart look and a functional convenience that allows you to carry all of your cherished belongings with you. The knee portion contains a double layer of fabric for added protection and padding, and this contributes to its lasting wear and durability. The standard turnaround time is 2 weeks for all branded orders. If you require the garment sooner, please let us know when you make your enquiry and we can work towards your required date. Size guide measurement: Inner Leg (CM): Size 77R- 77, Size 82R- 79, 87R- 82, Size 92R- 84, Size 97R- 86, Size 102R- 87, Size 107R- 88, Size 112s- 83, Size 117s- 84.